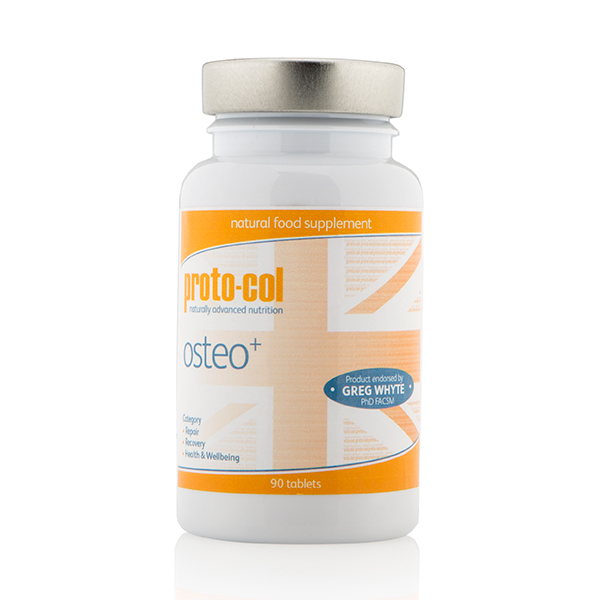 The special Osteo+ formulation is created to promote joint health whilst helping to ease any pains and provide a therapeutic effect. It helps to target pain and stiffness caused by connective tissue disorders, such as osteoporosis and osteoarthritis. Free from gluten, lactose and dairy. Includes 90 tablets (One month’s supply). The recommended daily dose is three tablets a day. Collagen Hydrolysate: Promotes a balanced diet, rich in protein. This ingredient has been said to help reduce joint pain, stiffness and ease the symptoms of osteoporosis, osteoarthritis and rheumatoid arthritis. Chondroitin: Helps to maintain cartilage health by absorbing fluid (particularly water) into surrounding connective tissue. It may also block enzymes that can cause cartilage to break down and provide the building blocks for new cartilage to be produced. Glucosamine: This ingredient also helps to prevent the breakdown of cartilage through several mechanisms, as it activates chondrocytes (specialised cells found in cartilage) to promote collagen production, which helps to hold it together. Hyaluronic Acid: This naturally occurring protein exists in all living organisms and acts as a coat around each chondrocyte. It helps to keep joints lubricated and encourage water retention in other tissues.